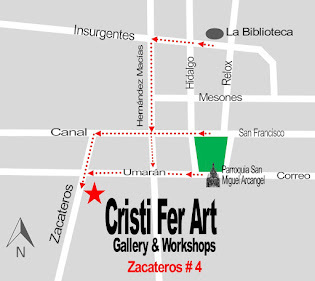 Cristi Fer Art Gallery and Workshops, in San Miguel de Allende, Mexico: New Spanish Workshop in San Miguel, "First Day Spanish"
New Spanish Workshop in San Miguel, "First Day Spanish"
As one of the visitors told us "I don't want to spend my vacation conjugating verbs, but I want to be able to communicate!" And this is exactly what you'll learn from a Mexican. 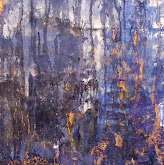 This is a workshop suggested by several painting workshop participants. 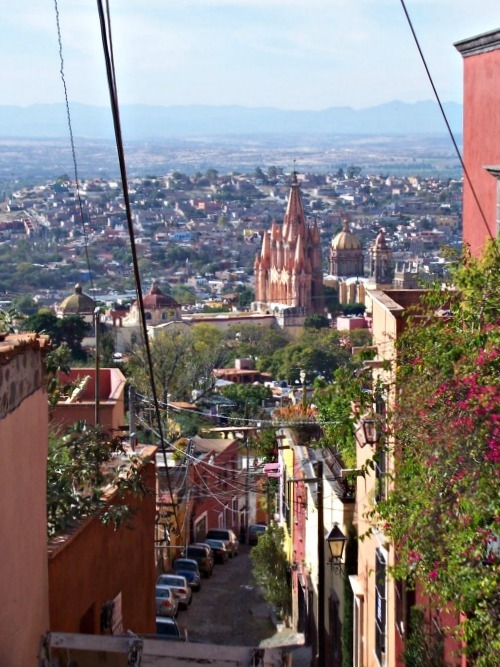 If you are a San Miguel Visitor, spending a week or two visiting our fantastic town, you may want to spend most of the time enjoying the sights, restaurants, concerts, shops and galleries. 1. Learn the basics of communication in Spanish. 3. 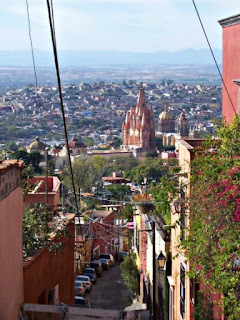 Familiarize yourself this the Centro. 5. We'll introduce you to the BEST and most economic Mexican Fast Food restaurant, with delicious, fresh and enjoyable atmosphere. Class meets every Tuesday from 9 AM to 4 PM, or according with your arrival and per availability. Groups are 2 to 4 participants, so you can get plenty of attention. Cost $150.00 payed in advance via Pay Pal.